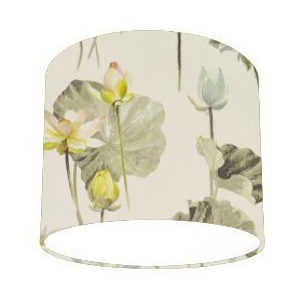 Designers Guild Fleur De Lotus Birch Yellow Grey drum lamp shade, lined with a white rigid flame retardant PVC, finished with a high quality rolled edge. Handmade to order by The Lampshade Company using luxurious Designers Guild fabric. Beautifully painted botanical style lotus flowers are charmingly arranged in this beautiful floral fabric. Available in two delicate colourways and exquisitely printed on smooth 100% cotton, Fleur de Lotus is a particularly elegant fabric for curtains and other soft furnishings. Ideal to hang as a ceiling pendant or for use with a table / standard lamp base. 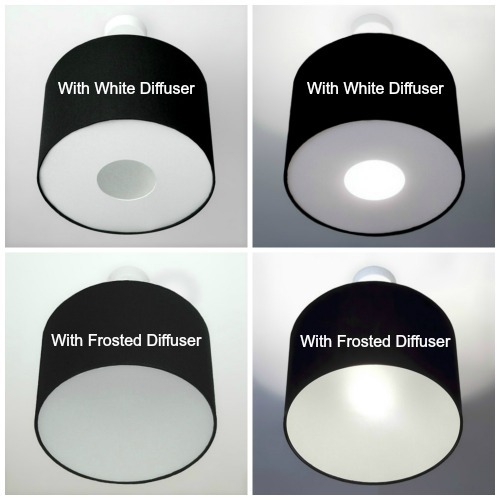 Our shades are made with one European ring fitting (40mm) an adaptor for UK fittings (29mm) will be included with your purchase. If you don't see the size or can't find the fabric you desire, please contact us. We have a wide selection of designer wallpapers and fabrics available including the entire Osborne and Little, Emma Bridgewater, Sanderson and Liberty Art Fabrics collections available and can customise each shade according to your needs!